Great News for Grameenphone users. 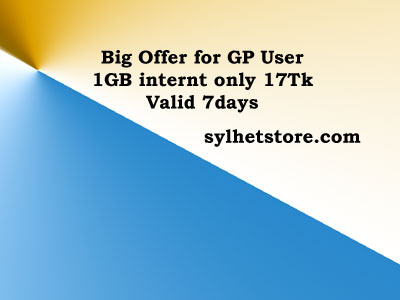 GP offer 1GB internet to its customer at 17 Tk. For 1GB internet, a user must recharge his/her mobile account from retail customer point with power-load. a customer can instantly get 1 GB internet when he recharges his mobile account with 17 Tk.